Let me start out by saying that the White Polyester Jersey Knit I ordered is amazing. I pulled it out of the bag and had to fight the desire to wrap myself all up in it before I put it in the washer! Yes, believe it or not, I'm being good and pre-washing my fabric. I'll end up wearing this multiple times for Rebel Legion events, and it IS white, so machine washing will not be optional! 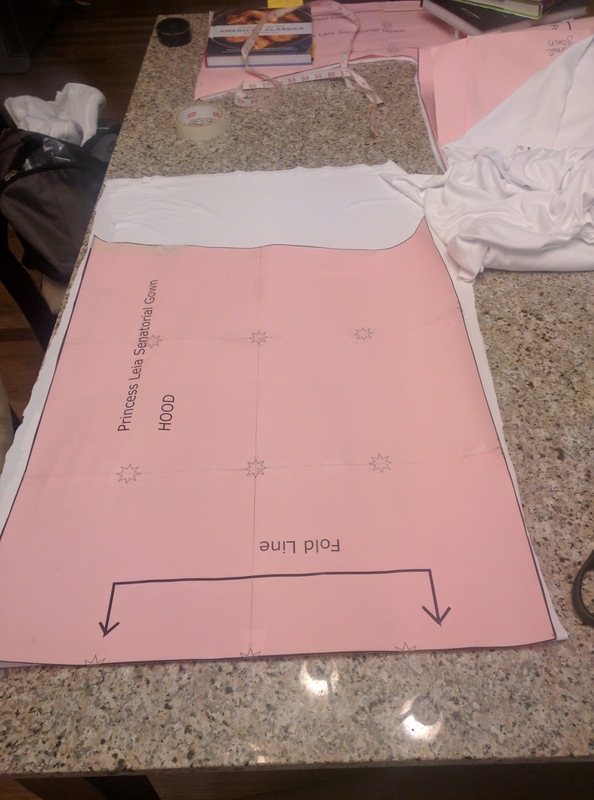 Here's my Senatorial Gown pattern, (a PDF) drafted based on P&S Costume Creations amazing tutorial and pattern diagram. 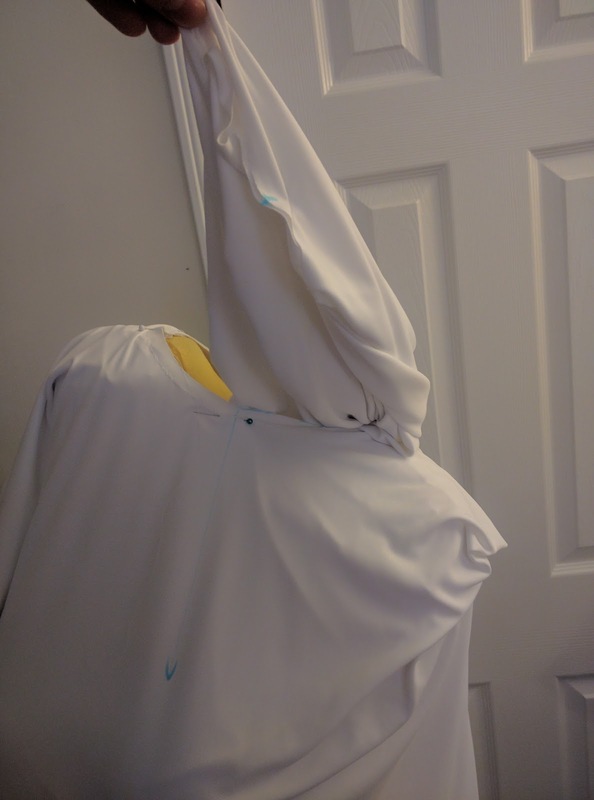 I ended up having JUST barely enough fabric. 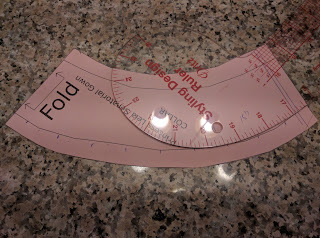 So, unless you're significantly shorter than 5'7", I recommend getting at least 6 1/2 yards! 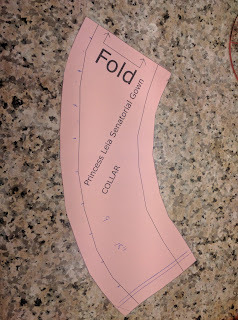 A couple tips - the seam allowance for the back seam of the neck ended up needing to be about 1/4". I probably could have done 5/8", but I didn't want it too tight! 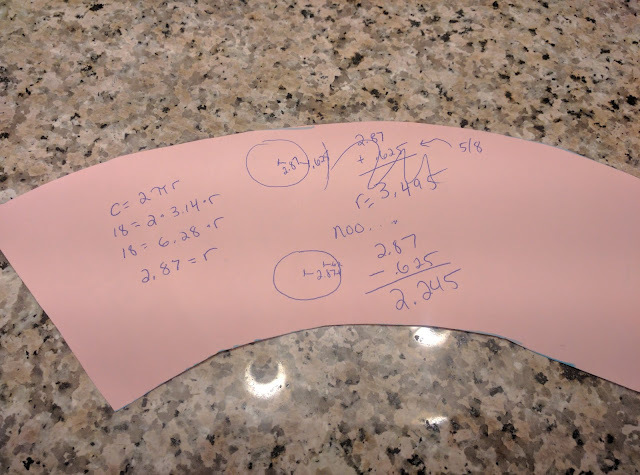 I could have measured the curve of the neckline in Inkscape, but didn't think of it until later, so I measured it the old fashioned way. Then, I broke out the Pythagorean theorem. 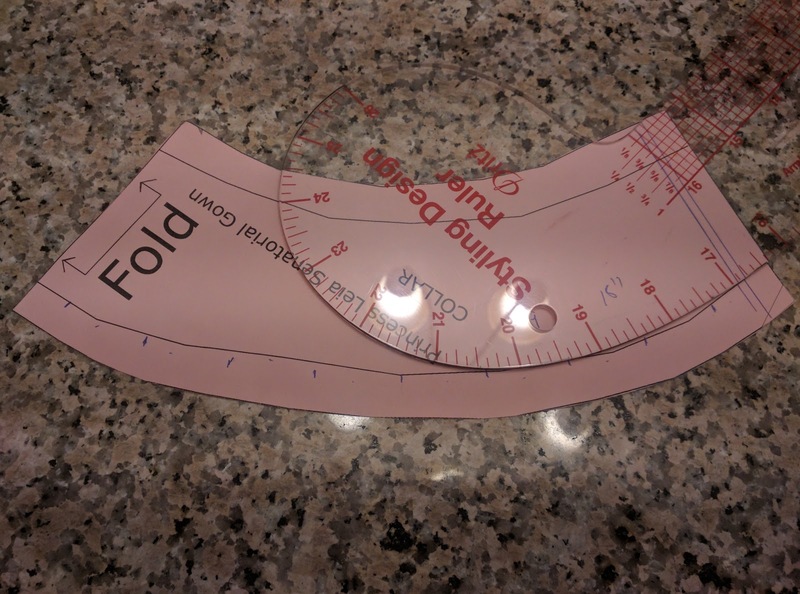 The cutting line for the neckline is a circle with a radius of 2.25" (You can see I originally messed up the math by adding 5/8", instead of subtracting it). The slit down the back was about 7.5". There are two layers to everything but the hood. The tricky part is flipping the dress right side out. 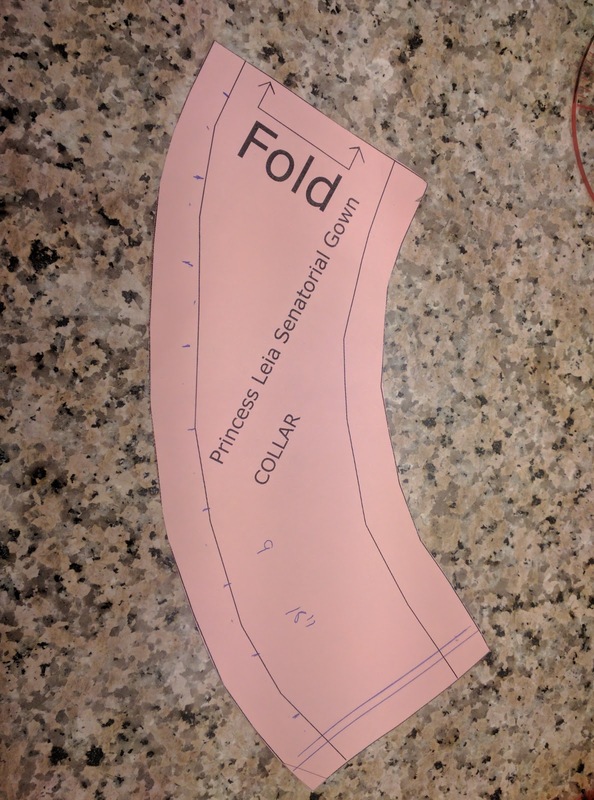 Originally, I sewed both the bottom hem AND the sleeve hems. NOPE. Sew the bottom hem first. Flip the dress inside out. Then, pull the sleeves through the neckline and sew the inner layer to the outer layer. If you pull the back keyhole through the neckline, you can sew the right sides together for that. I hand stitched the edges of the hood. I can't seem to lose the scowl / Resting Sith Face from my Imperial Officer Uniform. . . .
Don't forget to leave a slit in each side of the dress up to knee height! Tip: Don't let your dog eat the death star plans! If you have any questions, feel free to contact me on Facebook! I'm happy to help!